In a heartbreaking development, a body found in the search for Frightened Rabbit singer Scott Hutchison, who went missing earlier this week, has been identified as the musician, Scotland police confirmed on Friday morning. Hutchison was 36 years old. Hutchison’s body was found by police late Thursday night at the Port Edgar marina, between the Forth Road Bridge and Queensferry Crossing near South Queensferry, the BBC reports. The musician was last seen leaving the Dakota Hotel in South Queensferry early Wednesday morning—it was after he failed to return to the hotel that his family reported him missing. As a family, we are utterly devastated with the tragic loss of our beloved Scott. Despite his disappearance, and the recent concerns over his mental health, we had all remained positive and hopeful that he would walk back through the door, having taken some time away to compose himself. Scott, like many artists, wore his heart on his sleeve and that was evident in the lyrics of his music and the content of many of his social media posts. He was passionate, articulate and charismatic, as well as being one of the funniest and kindest people we knew. Friends and family would all agree that he had a brilliant sense of humour and was a great person to be around. In addition to his musical success, Scott was a wonderful son, brother, uncle and friend. Despite whatever else was going on in his life he always had time for those he cared for. Depression is a horrendous illness that does not give you any alert or indication as to when it will take hold of you. Scott battled bravely with his own issues for many years and we are immensely proud of him for being so open with his struggles. His willingness to discuss these matters in the public domain undoubtedly raised awareness of mental health issues and gave others confidence and belief to discuss their own issues. To all of those who have come forward with such kind messages of support over the past couple of days, we wish to express our most sincerest of thanks. We have been overwhelmed by the love that has been conveyed, not only to Scott, but to our family. It means the world to us. We also want to thank Police Scotland and the Dakota Hotel for all of their assistance since Wednesday. We now ask that our privacy be respected so that we may come to terms with our loss. 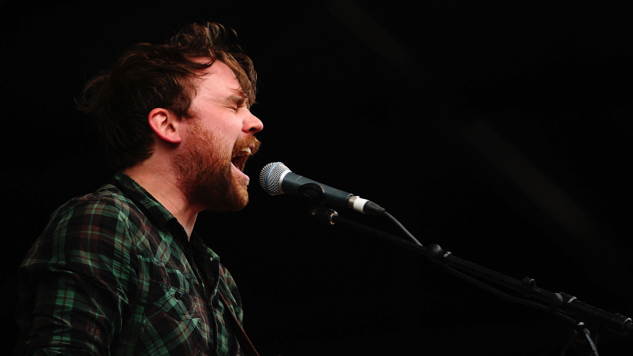 Hutchison began Frightened Rabbit as a solo project in 2003, telling Spin in 2011, “I thought of Frightened Rabbit because it was a nickname given to me by my mum when I was younger. I was incredibly shy as a child, almost chronically so.” Scott was later joined by his brother Grant Hutchison on drums, with Billy Kennedy (guitar, bass), Andy Monaghan (guitar, keyboards) and Simon Liddell (guitar) joining the band in the following years. The Scottish indie rockers recorded five studio albums, with their most recent, the acclaimed Painting of a Panic Attack, coming in 2016, and earlier this year, Frightened Rabbit toured in honor of The Midnight Organ Fight’s 10th anniversary. Hutchison also released a self-titled solo album in 2014 as Owl John. The Hutchison brothers had recently formed a new band called Mastersystem with members of Editors and Minor Victories, releasing their debut album Dance Music in April. Already there has been an outpouring of heartfelt remembrances from Hutchison’s musical peers, with artists including Belle & Sebastian’s Stuart Murdoch, Alt-J, Snow Patrol, Alex Kapranos of Franz Ferdinand, Biffy Clyro and others offering their condolences. Fans, too, have taken to social media, including Twitter and Reddit, to express their grief, sharing stories of their encounters with Hutchison and the effects Frightened Rabbit’s music had on their lives. As a songwriter, Hutchison was utterly unafraid to confront his own struggles with mental health, which in turn helped many of his fans get through their own dark days. As Scott wrote in the note above, “No matter how dark life seems, you are never alone. There is always hope.” We can only hope he’s found his peace. Watch Frightened Rabbit perform in the Paste office circa 2011 below.